Are you licensed? Note that a contractor’s license is different from a business license; what you’re looking for is the former. A contractor’s license is your assurance that the contractor will comply with local and international building codes, among other things. All roofing contractors operating in the State of Michigan must have a valid contractor’s license, to be renewed every three years. Do you have insurance? Contractors should have at least two kinds of insurance: liability insurance, which covers accidental property damage, and workers’ compensation, which covers worksite injuries. Hiring contractors who don’t have either is risky, as you could end up paying for both misfortunes out of your own pocket. For your convenience, our insurance and license information is published on our website. Do you have references? One of the best ways to verify a contractor’s handiwork is by talking to real clients. 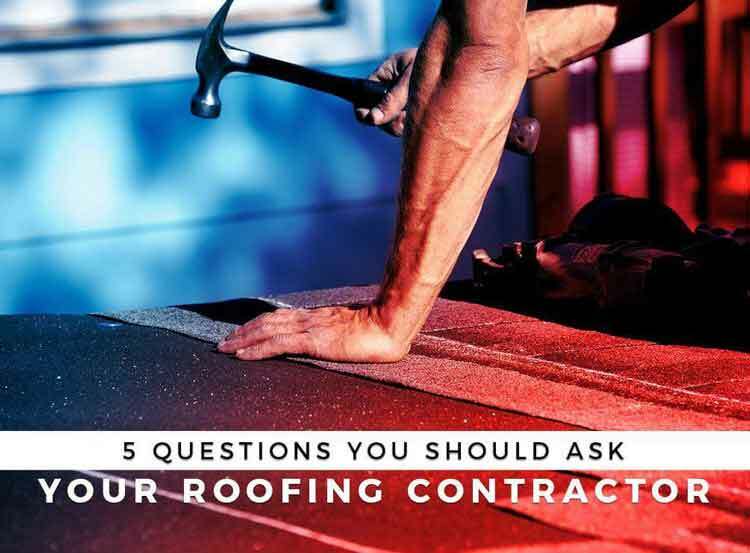 When interviewing a potential roofing contractor, ask for at least three references, and make sure you ask them what they think of said contractor. Are you pulling the permit? Roofing projects typically require permits. They ensure that your project is reviewed and approved by a building inspector, after which the contractor is required to make sure the work is performed correctly. Do you issue written estimates? Never hire a contractor who can only provide verbal estimates, for obvious reasons. Reputable contractors should be able to provide a written estimate at the end of their inspection and honor the quoted price, barring project changes. At Kroll Construction, we believe in hassle-free consultations, and, as our existing clients will attest to, we never pressure anyone into signing the estimate. At Kroll Construction, we would be happy to answer any and all of your questions about roofing contractors or anything else that you want to know about roofing. Call us today at (888) 338-6340 or fill out our contact form to schedule a convenient time to meet. We serve homeowners in Michigan and nearby areas.